Rhea + Kaiser has earned recognition for client and agency work from the National Agri-Marketing Association (NAMA). 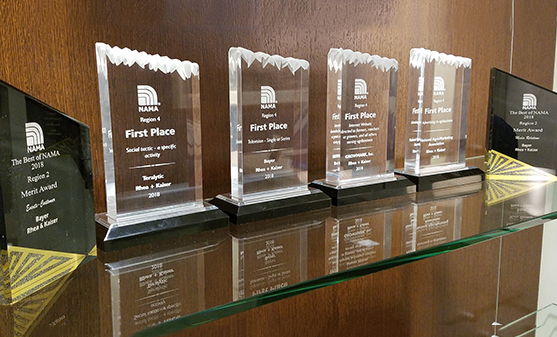 The agency recently received regional Best of NAMA awards in the areas of advertising, digital and public relations. The annual Best of NAMA awards honor the best in agricultural communications for the past year. Awards are presented across six regions and in 62 categories covering advertising, public relations and digital for agribusiness and non-agribusiness audiences. Regional first place and merit winners are eligible for national Best of NAMA awards. NAMA will announce the national awards during its annual Agri-Marketing Conference in Kansas City, Missouri, April 10-12, 2019.